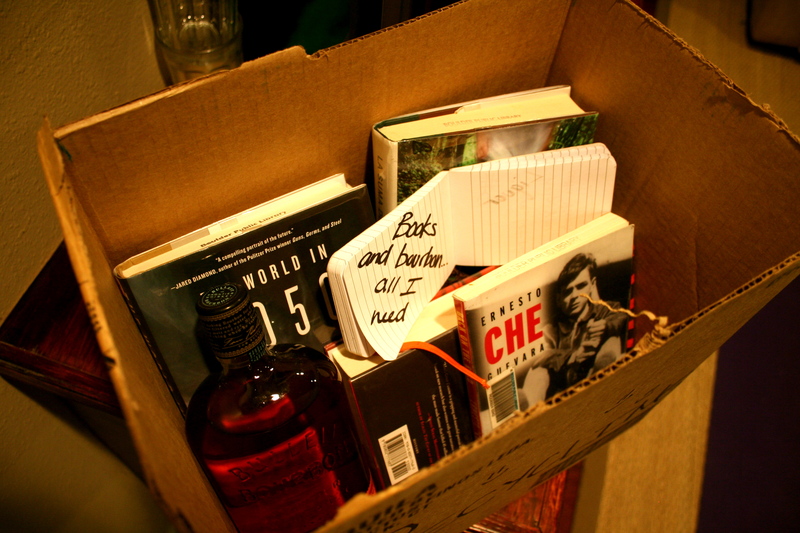 Books, Bourbon, and a box. All I need to have a happy day in the Colorado winter. I’ve got a great spread of authors to keep me company (Guevarra and Allende, to start with) and the spicy spirit to keep me warm. Bring it on, weather! More beautiful snow, please! I love this picture. It has art. And Allende is a great writer. Well Done!